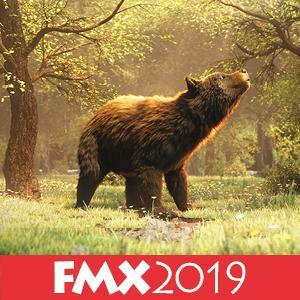 The SIGGRAPH Asia 2019 Computer Animation Festival invites creators from around the world to showcase their most innovative work with computer-generated animation and visual effects. For three exciting days, the festival will feature work from students and professionals alike. Screenings - It includes Electronic Theater, Animation Theater as well as Invited Screenings where the full breadth of this year’s work in computer animation can be enjoyed at length. Please consider submitting your best work to the SIGGRAPH Asia 2019 Computer Animation Festival and contribute to a wide variety of animations and creative innovations that lead the way to the future of computer graphics. Submissions are due on 15 July 2019, 23:59 UTC/GMT. SIGGRAPH Asia Computer Animation Festival accepts submissions in the following categories. Includes character animation, narrative works, experimental works, opening sequences, game cinematics, selections and/or montages of animated television series, new-media format. Submission for 'panels or talks' on Computer Animation and other related techniques categories will be acceptable. Submitters of accepted submissions may present about their projects including, but not limited to, behind-the-scenes, story development, character designs, sound designs, film/visual FX etc. Panels & Talks are not selected by a jury. They are selected and organized by the Computer Animation Festival Chair, Co-Chair, and Committee. For submission details, please contact the Computer Animation Festival Committee. Step 1: Complete the SIGGRAPH Asia Computer Animation Festival Online Submission Form. It provides instructions on how to submit your entry in details. The online submission system allows you to edit or correct your form as many times as you need until the deadline (15 July 2019, 23:59 GMT/UTC). At the end of the online submission process, you will be assigned a submission ID. Production Year: eligible if completed after March 2018. Length: Short films of maximum length of 10 minutes may be submitted; however, the Computer Animation Festival reserves the right to show only excerpts of selected works at the jury’s discretion. If you are unable to meet the 10-minute requirement, you may contact the Computer Animation Festival sub-committee and explain your circumstances. Credits: The total time for end titles and credits together should be no longer than 7 seconds. 2-Pop Cue: There should be an audio and visual 2-pop cue two seconds before the first and last frame of the work, unless the video is submitted in DCP format. If your submissions require another resolution, please feel free to contact the Computer Animation Festival Committee. Number of audio tracks accepted is [0,1,2,4,5,6,8,10,12]. File size: The uploading file cannot exceed 2GB. The Computer Animation Festival Chair, Co-Chair and committee are responsible for conducting the jury process, selecting the final works, and presenting the official competition and invited programs to the highest standards of quality. The jury reviewing process will take place in August 2019. In September 2019, you will be notified by email of the status of your work. Each year, we have far more submitted pieces than we can accept, and we are not able to accept many deserving pieces. If your work is selected for either Electronic Theater or Animation Theater, you will be expected to reply promptly to any request for information or clarification from the Computer Animation Festival committee. Selected works will be presented during SIGGRAPH Asia. On the first night of the festival, the Computer Animation Festival jury will present the Best in Show, Jury Special, and Best Student Film. All films screened in the Computer Animation Festival are eligible for the awards. Presenters are expected to cover their own travel costs, which are not covered by SIGGRAPH Asia. You can apply for a 50% discount per accepted submission via the submission system. You are responsible for securing the necessary permissions and licenses for visual and audio material contained in your work for the SIGGRAPH Asia Computer Animation Festival. We encourage you to use original music or visual material for your film. However, if visual or audio material is not originally made for the film, we ask you to obtain the necessary permissions or required licenses to prevent situations from leading to complaints or even any legal action from the rights holders. Only works completed after March 2018 can be taken into consideration. Submissions to the SIGGRAPH Asia Computer Animation Festival should be included in the listed categories. See the Submission Categories. Can I submit more than one work to the SIGGRAPH Asia Computer Animation Festival? We are an art school and planning to submit several students works as one submission. Is it OK? Quicktime.mov movie files are the preferred format for jury reviewing. If necessary, AVI files or MP4 files may also be submitted. The movie file must be uploaded via the SIGGRAPH Asia Submission System. For details, please see How to Submit. All works must be submitted only via the SIGGRAPH Asia Submission System. The online submission process allows submitters’ easy access to the online submission system, eliminates time-consuming shipping and mailing, and provides an efficient procedure for reviewing submitted work. Is there a submission fee for submitting to the SIGGRAPH Asia Computer Animation Festival? Will SIGGRAPH Asia cover the shipping expenses for the final screening format? No. SIGGRAPH Asia does not pay for any shipping or transportation costs. Submitters are responsible for all shipping and transportation costs, insurance charges, and customs fees that may be incurred in shipping materials to the festival. If my work has been selected for the SIGGRAPH Asia Computer Animation Festival, will SIGGRAPH Asia pay for my accommodation and travel expenses? Unfortunately, no. You are responsible for your accommodation and travel expenses. For details, please refer to the Recognition Benefits.